Offering you a complete choice of products which include eavin blinds. 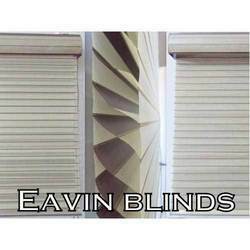 Eavin Blinds are thecombination of Honeycomb and Triple Shade Blinds. Vivid colors present in triple shade have the feature of blackout i.e. doesn't allow light to pass through.